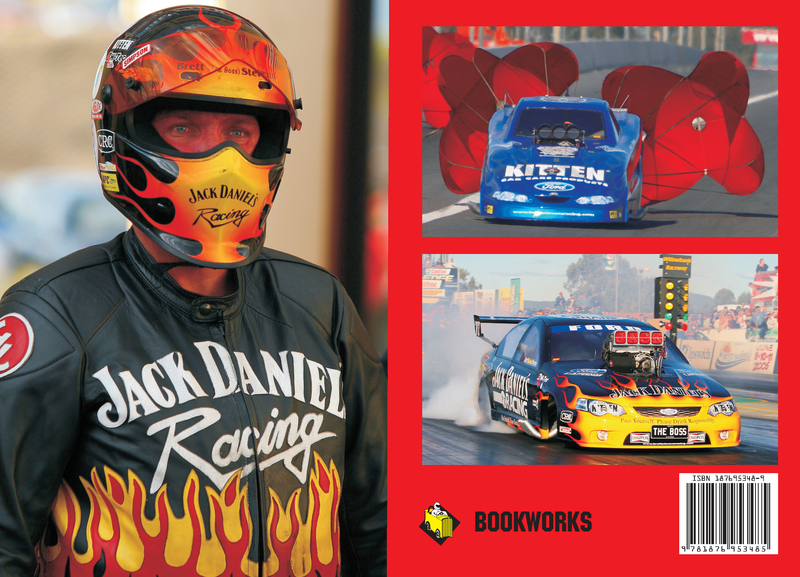 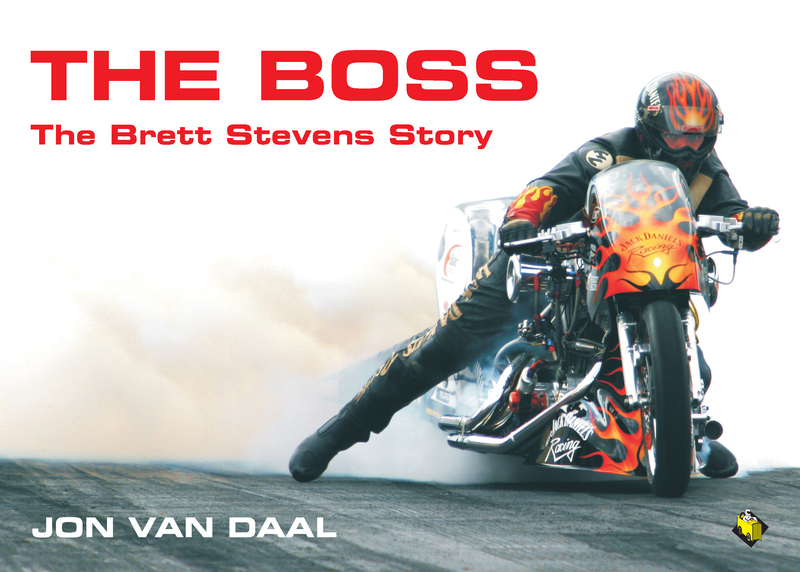 THE BOSS – The Brett Stevens Story’ was written by veteran drag racing photojournalist Jon Van Daal after he spent the best part of a year following Brett and his team’s successes in the quest for multiple Australian National Drag Racing Association Championships. 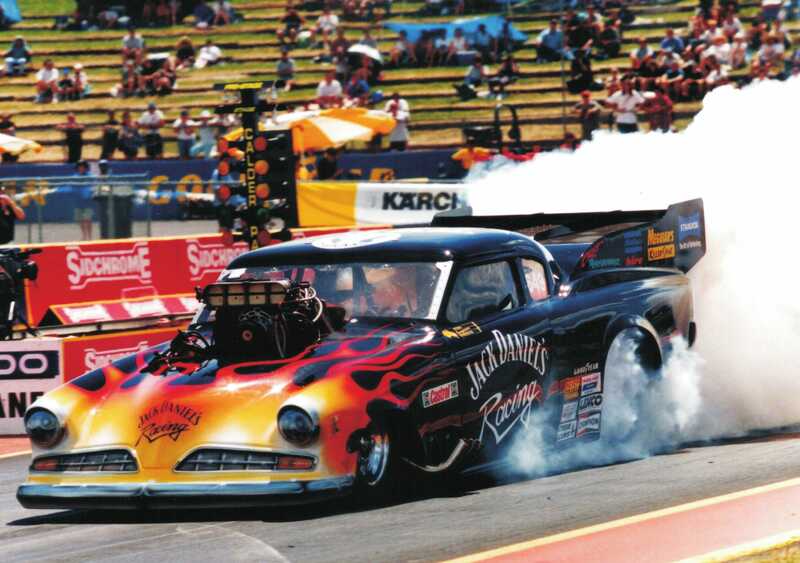 Over the course of the last seventeen years Brett Stevens has assembled one of the largest ever teams of professional Drag Racing entries in the world, and while many companies may sponsor more entries, only Brett contests three different brackets himself and has another five drivers and riders who also compete in four different ANDRA professional brackets, Van Daal said. 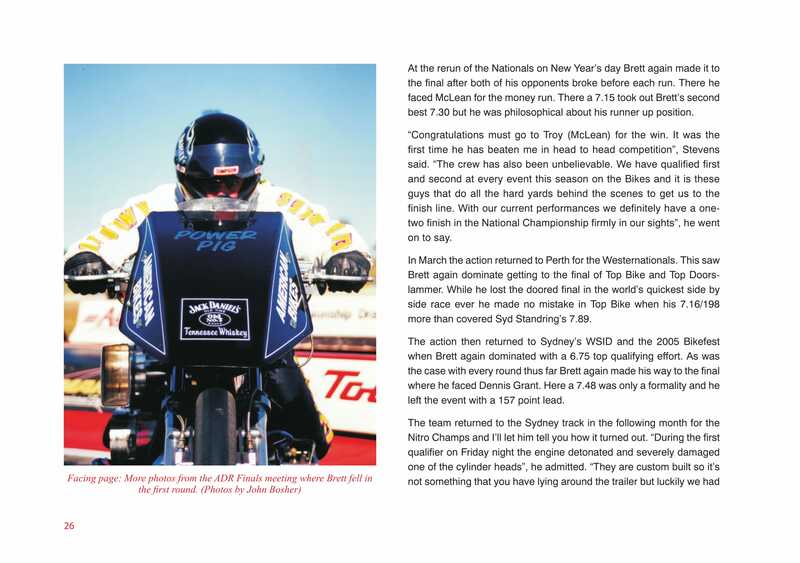 This would be akin to Craig Lowndes winning a race in his V8 Supercar and then climbing into an Indy Champ car and winning with that and then turning around and climbing on a MotoGP bike to go and out win again - and that pretty much sums up the level of his accomplishments in Australian Drag Racing. 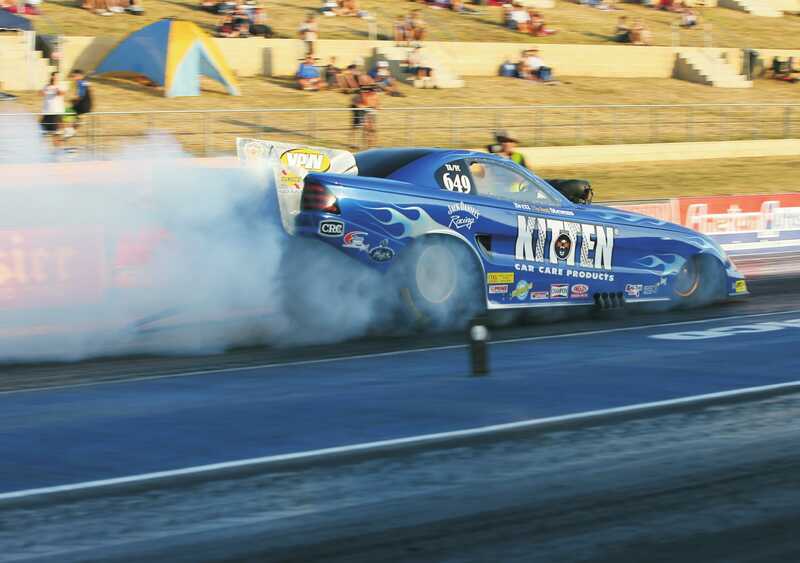 With up to forty team members on the Brett Stevens crew thrashing between rounds, at a big event it can look like organised chaos so how does one man co-ordinate such a force of committed and talented people? 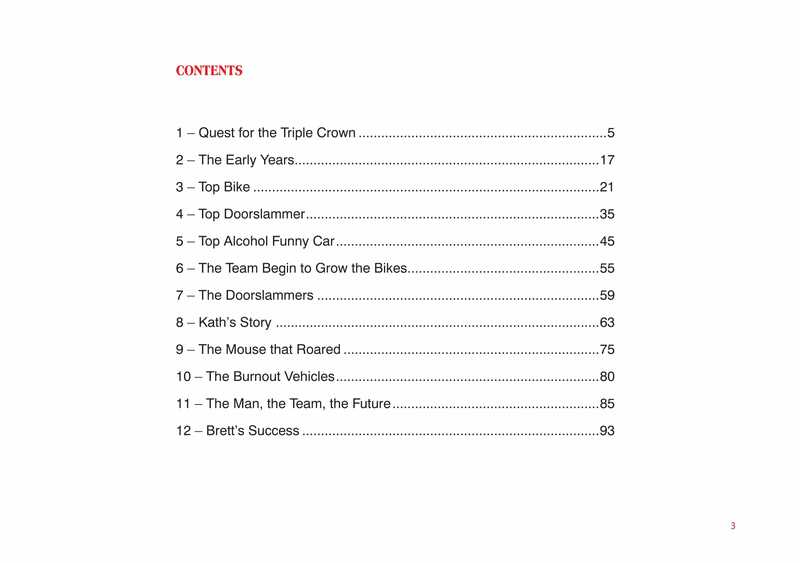 Alfie, the cook, summed it up for me at one event very well when he said that Brett is one of the most inspirational people he’d ever worked for, he is a legend in the sport and he is ’The Boss’.